Abuse victims know Satan all too well. We have met him in the form of pedophiles and panderers; parents and caregivers who did not know how to love; partners who used and discarded us like so many unwanted toys. 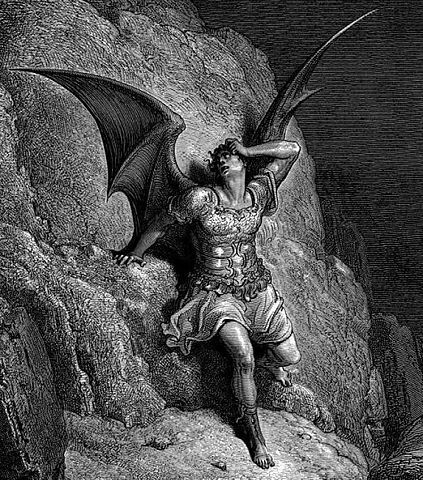 We have been tormented by Satan in every way possible – mentally, physically, emotionally, sexually, and religiously, to the point that some of us have come to view death as a relief. That statement about death is, of course, one of Satan’s lies. But we have been told so many lies, we no longer recognize the truth. Where there is a history of abuse, the desire for control can be heightened. Having been grievously harmed, we are determined not to be harmed again. Which means trust is an issue for us. Our wounds are so deep that some of us have vowed never to trust again. In the interest of safety, we have willingly traded freedom for isolation. A high price to pay. But isolation is no guarantee of peace or safety. That is just another of Satan’s lies. Most of us have cried out to God in our anguish. Many have concluded that He long ago rejected us or simply does not exist (more of Satan’s lies). A few of us have come to believe Satan is the stronger (a lie he gladly endorses). It takes enormous faith to let down our guard, lay our defenses at God’s feet, and allow Him sovereignty over our lives. Victims’ reluctance is more a reflection of fear than stubbornness; more a measure of the sins to which we were subjected, than those we committed ourselves. Acutely aware of our defects – real and imagined – and often rejected before, abuse victims are intensely sensitive to rejection. Fearful that God will reject us, if we do offer to submit to His will, victims are flooded by feelings of inadequacy. We must reclaim our self-esteem before we can surrender freely to God. Otherwise the concept of surrender is likely to feel too threatening to us. We were forced to submit to the evil inflicted on us. The thought of submitting again – even to a good and holy God – can be overwhelming. In the aftermath of abuse, we hardly dare assert ourselves, as it is. This is not to say that we must be “perfect” or even “good” before God will come into our lives. That is yet another of Satan’s lies. God meets us where we are. A frantic effort to “please” Him by doing good works (or flagellate ourselves for every failure) is unnecessary. It amounts, in fact, to legalism – adherence to the letter of the law, at the expense of the spirit. God does not ask this of us. Our value in God’s eyes is not something to be earned at all. It stems from the family relationship we have with God. We are His beloved children. Recognition of that profound truth can go a long way toward healing the wounds left by abuse. “…but those who hope in the Lord will renew their strength. They will soar on wings like eagles; they will run and not grow weary, they will walk and not be faint” (Isa. 40: 31 NIV).